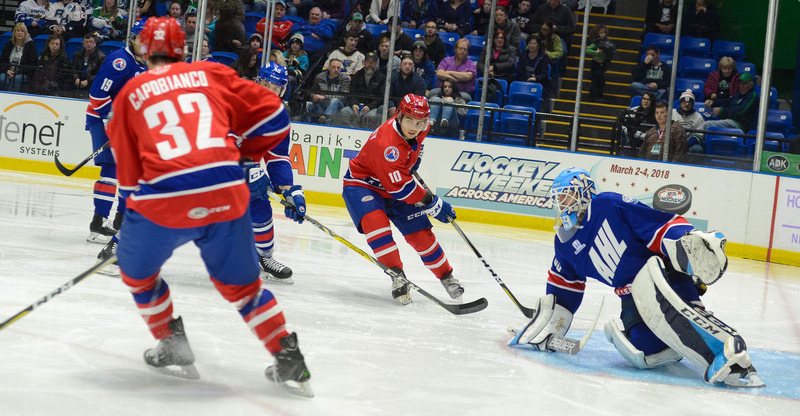 Despite an impressive, undefeated run through round-robin play during Monday night’s 2018 AHL All-Star Challenge at the Utica Memorial Auditorium, the Pacific Division, of which Nick Merkley, Kyle Capobianco, and Dylan Strome represented, fell short to the North Division in the championship game, losing by a tight 1-0 count. The Roadrunners’ three players had a hand in 11 of the Pacific Division’s 13 goals during the evening, combining for 16 points (8G, 8A) over the course of the four games played. Merkley and Capobianco led all players in scoring, registering six points apiece. Dylan Strome added four, which was tied for the third-highest total at the end of the night. Strome was the only player of the Roadrunners’ three to record two multi-point games. 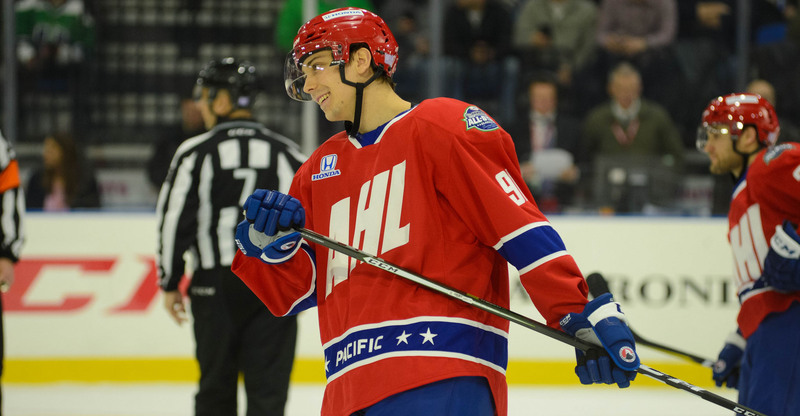 In the Pacific’s opening contest, a 5-3 victory over the North Division, Capobianco struck for two goals and three assists, Merkley one goal and three assists. Capobianco netted the eventual game-winner in beating Thatcher Demko high to the blocker side. Strome opened and closed the scoring for the Pacific in the team’s second game of the night, a 4-3 win over the Atlantic Division, including the game-winning goal when he beat Jordan Binnington with a wrist shot high to the glove side. The Pacific’s third and final round-robin game, a 4-3 victory over the Central Division, was highlighted by Dylan Strome's spin-o-rama pass to Rasmus Andersson to set-up the game-winning tally with 11 seconds left to play. The Pacific Division was shut out by the North Division, 1-0, in the championship game. The Roadrunners return to action to begin a season-long six-game road trip Friday night when they take on the Ontario Reign at Citizens Business Bank Arena, where the puck is scheduled to drop just after 8:00 PM MST.